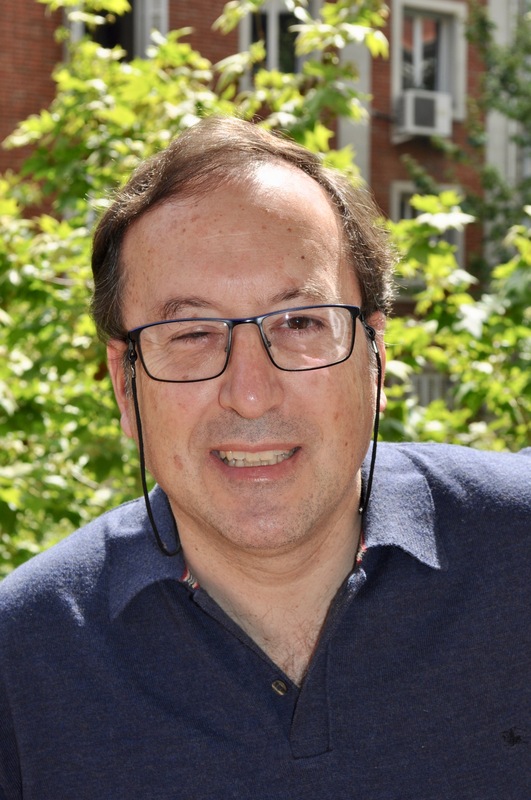 Pedro Romea Garcia is an Associate Professor Department of Inorganic and Organic Chemistry at the University of Barcelona (UB). Born and raised in Barcelona, he studied at the UB, completing graduate and postgraduate studies in Chemistry. In 1991, under the supervision of Prof. Jaume Vilarrasa, he completed his doctorate. From 1991 to 1992 he carried out postdoctoral research in Prof. Ian Paterson's group at the University of Cambridge (UK). After returning to Barcelona, he became a tenured lecturer in the UB's Department of Organic Chemistry in 1993. He is member of the UB's Institute of Biomedicine (IBUB). He was secretary of the Department of Organic Chemistry between February 2000 and September 2003. He was Coordinator of the Doctoral Program in Organic Chemistry from June 2010 to October 2018. Our research activity revolves around the development of wide-ranging, efficient stereoselective processes based on the reactivity of metal enolates and their application to the synthesis of natural products. In particular, the high nucleophilicity of titanium(IV) enolates from chiral ketones has been fundamental to the design of new, highly stereoselective Michael and aldol reactions. Additionally, the discovery of their biradical nature has enabled us to use these enolates in radical processes. 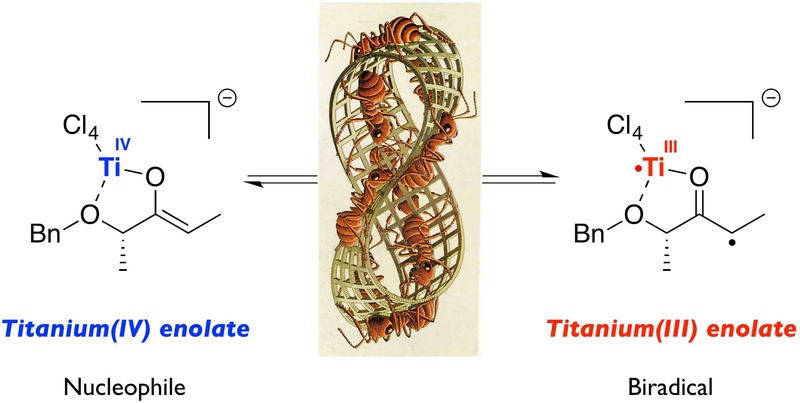 Essentially, the nucleophilic and the radical nature of titanium(IV) enolates are two aspects of the same species which can be used, without distinction, for the stereoselective construction of carbon-carbon and carbon-oxygen bonds. We are also interested in the use of structurally simple nickel(II) complexes for the development of new catalytic and asymmetric additions of nickel(II) enolates to cationic intermediates in SN1 processes. 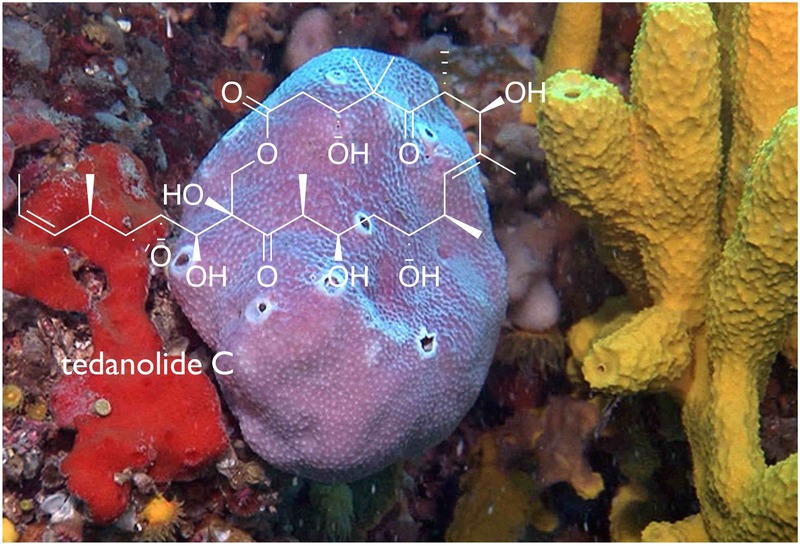 The application of these methods to the synthesis of natural products, such as tedanolide C (pictured on the right), is clear proof of their potential where synthesis is concerned.